What's New for October: Posters, teacher opportunities and more! We've added a beautiful new poster to our resource center. Plus - don't miss these opportunities and events for students and teachers. Add to your collection with our newest poster, All Known Physics – now available to download in English and French. And if you missed them last month, you can still download our new lesson compilations on waves, energy, and climate change. The Institute for Quantum Computing at the University of Waterloo will offer a free teacher workshop on everything quantum from November 30-December 2. Click here to apply! High school students can dive deeper into gravity and the quantum world through two online courses running October 12-28, 2018. Students work at their own pace, submit short assignments for instructor feedback, and can join discussion forums with students around the world. In the first lecture of Perimeter's 2018-19 Public Lecture Series, Avery Broderick will talk about the EHT and international efforts to interpret horizon-resolving images of numerous supermassive black holes. Find out more about the upcoming lecture live stream. 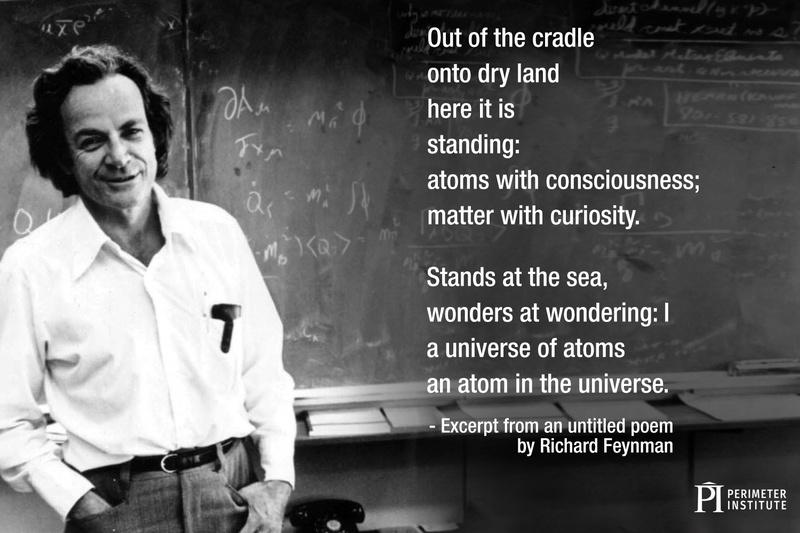 It can be said that science and poetry share the common purpose of revealing profound truths about the universe and our place in it, though some would have dismissed that idea as hogwash. Still, physicists have often turned to poetry to express ideas for which equations alone do not suffice. Here’s a look at some of the loveliest stanzas from physicists past and present, plus a couple of silly ones.